A warm and inviting condo for you to enjoy! Located on the Ridge golf course, overlooking #13 and the serene pond, it is exquisite. Professionally and meticulous finished and designed, you need to see to genuinely appreciate it for the class and amenities it offers! Custom cherry woodwork throughout the main floor. A highly functional floor plan that is conducive to entertain and host. Main floor master suite has tiled walk-in shower, double vanity, walk-in closet and patio doors to the deck. Laundry/mudroom located by garage entrance. Kitchen has a walk-in pantry, 2 tier island, the works. Gas fireplace, finished walk-out basement with 2 additional bedrooms and a full bath. Great family room space downstairs with a perfect view of the course. The view will capture you! $6000 interior design credit available to buyer! 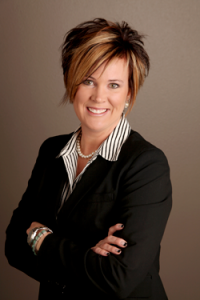 Affordable HOA fees, call listing agent Jennifer Jansen today! Located on the Ridge Golf Course overlooking #13 and the pond.